Premium Detox 7 Day Comprehensive Cleansing Program is specially made for those people, who would like to have their body completely cleansed. It contains a pure and natural ingredients and a number of vitamins, which provides an actual strength and helps in speeding up the rejuvenation process. 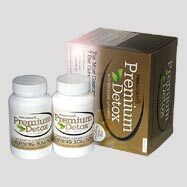 Premium Detox contains a complete 7 day life-management plan prepared by a group of nutritionists to improve the health and wellness of an individual through detoxification. It permanently eliminates the unwanted and dangerous toxins from blood and urinary region. The best constituents from all over the world are used in preparation of superior quality Detox products, which are pure, safe, natural, and work effectively in cleansing the body. 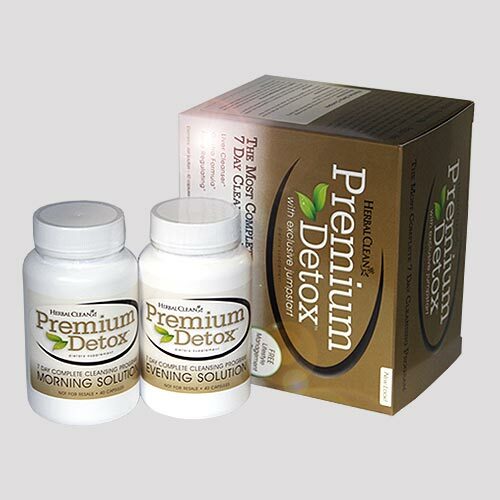 Premium Detox also includes Herbal Clean special 1 hr Emergency Flush, which will give assurance of the successful results within 1 hr. Burdock Root, Turmeric Root, Gentian Root, Dandelion Leaf Extract, Schizandra Berry, Juniper Berry, Cascara Sagrada Bark, Fibersol-2 (Maltodextrin), Licorice Root, Red Root Extract, Milk Thistle Seed Extract, Cayenne Pepper, Green Tea Leaf Extract, Guarana Seed Extract, Echinacea Purpurea Herb Extract, Peppermint Leaf, Echinacea Purpurea Herb Extract, Dandelion Root, Creatine Monohydrate, Juniper Berry, Uva Ursi Leaf, Turmeric Root, Licorice Root, Ligustrum Berry, Alfalfa Leaf, Slippery Elm Bark, Reishii Mushroom, Apple Pectin, Cornsilk. Each box contains 3 sets of capsules: The Morning Solution, Evening Solution and one hour Jump Start. If an individual needs a quick solution from detoxification, the Jump Start will help eliminate the unwanted toxins and help to flush within 1 hr of the consumption. With the consumption of Premium Detox Morning Blend, an individual can experience a good herbal strength and Premium Detox Evening Blend, provides a calm natural relaxation to the body. For an overweight individual or a person with higher that usual toxin level, it is recommended to use Herbal Clean Premium Detox 7 Day Comprehensive Cleansing Program twice consecutively. To have a constant healthy body, it is advisable to maintain balanced and nutritious meal.